Description With information on over 1000 job titles this really is your goto resource for occupational information. 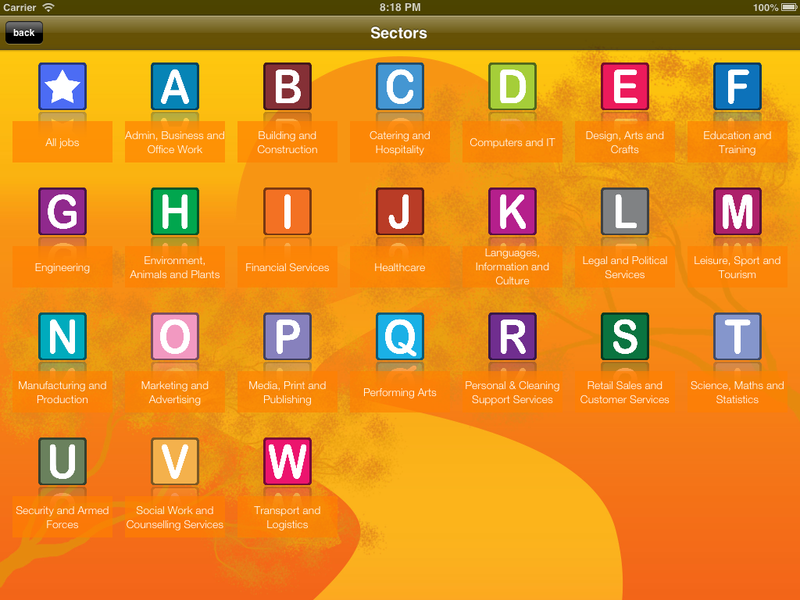 Jobs can be found using our search engine, by browsing an a-z list or by filtering into job families. In the standard version each job has summarised details including what's involved in the job, qualification & training requirements plus salary information. Using the very latest technologies, Occupations is available for iPod Touch, iPhone, iPad mini and iPad running iOS 5.1 or later. Occupations is designed to work beautifully on all these devices but will also take full advantage of the extra space on the iPad and high resolution graphics on retina devices.